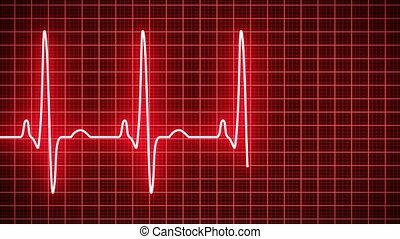 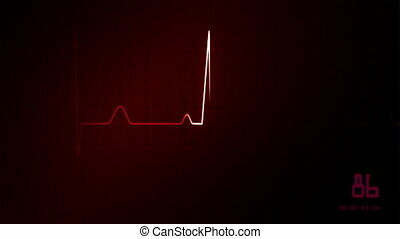 Heart rythm on ecg monitor in red. 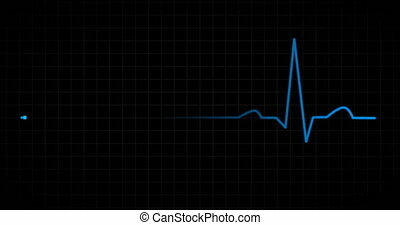 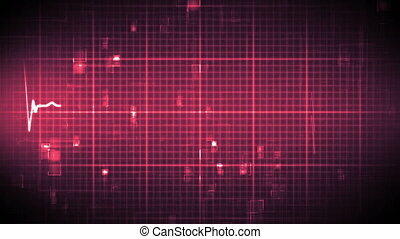 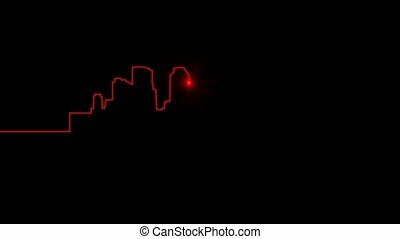 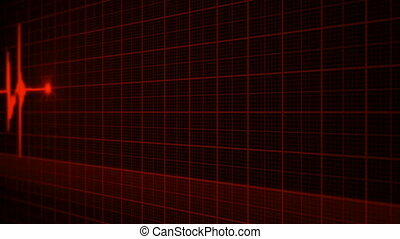 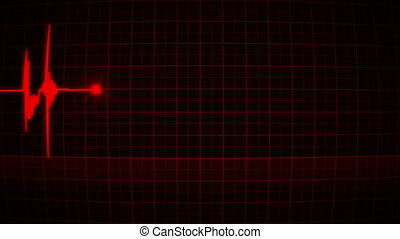 Animation of an electrocardiography (ECG) showing pulsating hearth beat and asystole over red background. 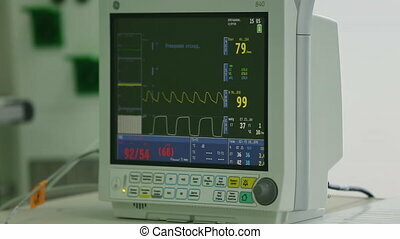 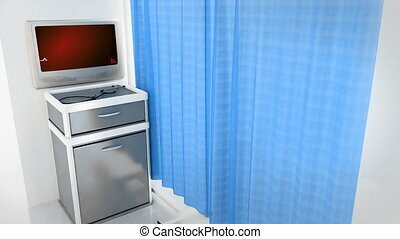 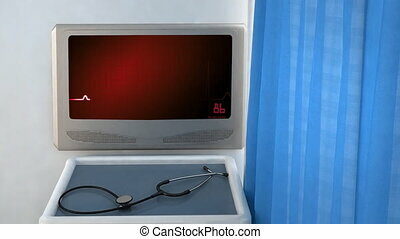 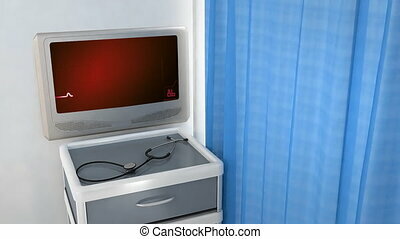 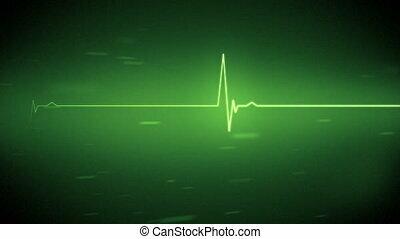 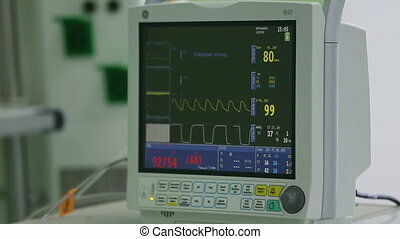 view Monitoring of patient's condition, vital signs on ICU monitor in hospital.